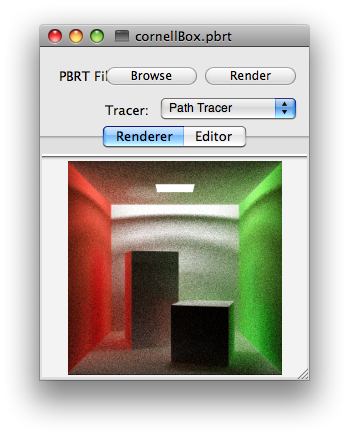 I've spent nearly every hour of every night for the past 3 weeks, as well as 2 entire weekends grinding through the death march that was this ray and path tracer. Its incomplete: the kd-tree implementation doesn't work properly and it generates odd sinusoidal noise when path tracing. 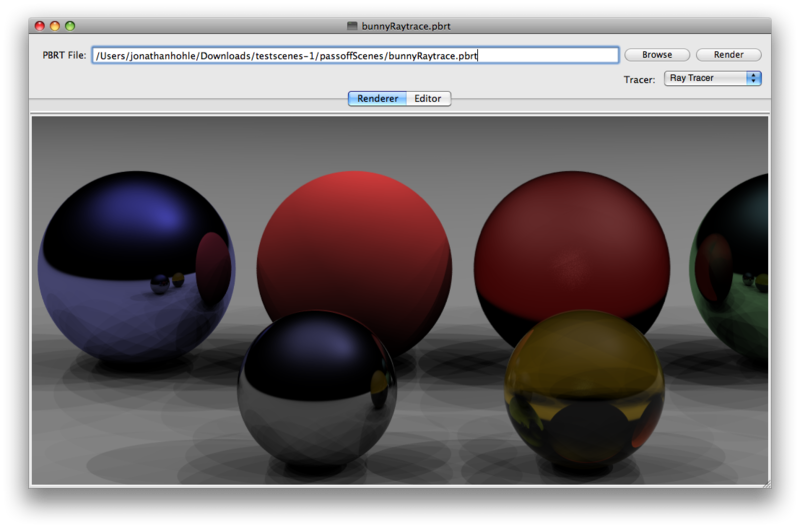 For simple ray tracing cases, though, it looks really good. The implementation was done in Objective C++ (an un-holy mashup of Objective C and C++). I enjoy programming in both languages, and there are features of each that I would like to see in the other, but using them both at the same time introduces complexity that projects with short deadlines don't generally need. On the other hand, I really like being able to intermix fast C++ code I have been using since college with elegant Cocoa. As long as you know that you have to give your Objective C++ files a .mm extension, it really isn't that bad. Anyway, the point was that this project is in the can. I may have to revisit it later this semester, but for now, I can catch my breath. Update: here's a shot of the path tracer with its ridiculous wave pool interference.